I am very late in mentioning a big event going on this weekend -- "Najm al Danse Orientale," presented by Black Orchid Dance. It's a whole weekend of workshops, shows, contests, parties, shopping for sparkly or fringy stuff... all the things belly dancers love, right? And it really is packed with stars, including Tito Seif, Sharon Kihara, Tarik Sultan, Willow Chang, and more. I have missed this event in the past due to scheduling conflicts, but this year I will at least be attending the Sunday night show! I'm looking forward to the performances by all these awesome guests, as well as lots of local talent. 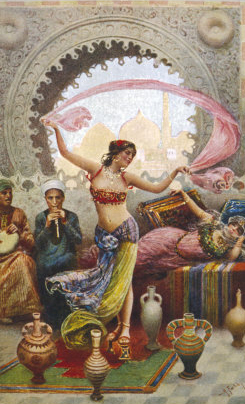 Nothing like just settling in for a heapin' helpin' of belly dance, is there? And I am particularly looking forward to finally seeing this Tito dude everyone's always raving about! Anyway, I expect to see lots of friends from all corners of the community Sunday night -- that's the other part of belly dance that we all love, right? The best part, I'd argue. Hope to see you there! There's no disputing the fact that live music makes dance more exciting... whether you're watching a performance with a live band or dancing socially to live music at a hafla. The interactions between the musicians and the performers, the air of spontaneity, and the possibility that something unexpected can happen at any moment -- all of these factors make the experience that much more interesting and entertaining. Many cities are fortunate to have thriving communities of musicians who specialize in Middle Eastern, Balkan, Central European, Romany, Indian, and other music that lends itself to various forms of Oriental dance. Surprisingly, Atlanta is not really one of those places. However, we are fortunate to have a passionate enthusiast and expert on Middle Eastern music in the person of Majda Anwar. In addition to her considerable talents as a performer, Majda is pretty much on a personal mission to bring more live music to the stages, classrooms, and haflas of metro Atlanta. On July 16th at the Red Light Cafe, Majda and Awalim will be presenting a truly unique evening of performances, with live music accompaniment from beginning to end -- a TribalCarnivale Extraordinaire! The evening will kick off at 9:00 with Wasted Wine from Greenville, SC. This two-man ensemble, described by one newspaper as "the lovechild of Tom Waits and the Decemberists," will accompany several dance performances. You may have seen them in last year's Halloween show. Then the Day Late & Dollar Shortkestra will take the stage! This collective, loosely based in Columbia, SC (I believe), meets up wherever they can to play amazing music together. Featuring Natalie Brown, Glenn Weinstein, and the great Darbuka Dave along with Majda herself, the Shortkestra will be playing all sorts of music to accompany some of the area's most accomplished performers. At the moment, the lineup includes Awalim, Jahara Phoenix, Kira Lang, Melanie Parker, Zaina Zahra, and Banat Almeh -- along with Natalie Brown of Delirium Tribal, who will put her flute down long enough to dance. RSVP to the Facebook event to keep abreast of all the updates on this one-of-a-kind show! Tickets are just $13 in advance -- get yours here. Where does this thin green silk come from that covers my body? would move her body just to feel them touching every part of her. desire for rhythm and contact. awakening ancestors and relatives to the tips of the arms and toes. offend them—frighten their old-young bodies. 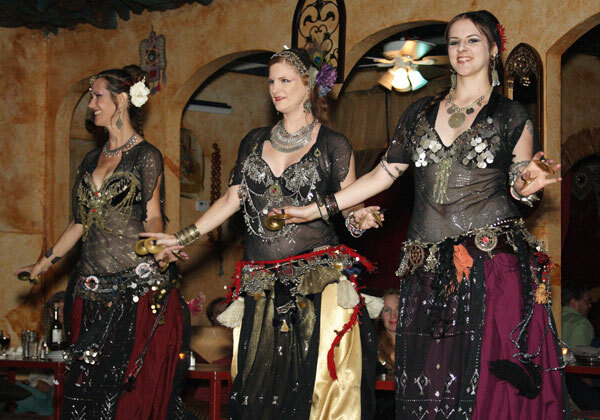 Once again, the metro Atlanta belly dance world is full of things to see and do this weekend! Saturday night, Taloolah Love presents "Arabian Nights" at Bart Webb Studios in Avondale Estates. 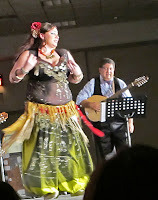 Now a star in the burlesque world, you may or may not know that Taloolah got her start as a belly dancer! This event will feature fun belly dance workshops with the one and only Christy Anandaconda and a fabulous hookah lounge designed by Banat Almeh's own Monet Fort! 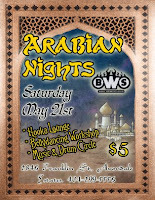 Plus tasty music with DJ Saute, henna, food, and who knows what other exotic delights. Find out more and RSVP via the Facebook event here. Sunday night, there are three events to choose from! 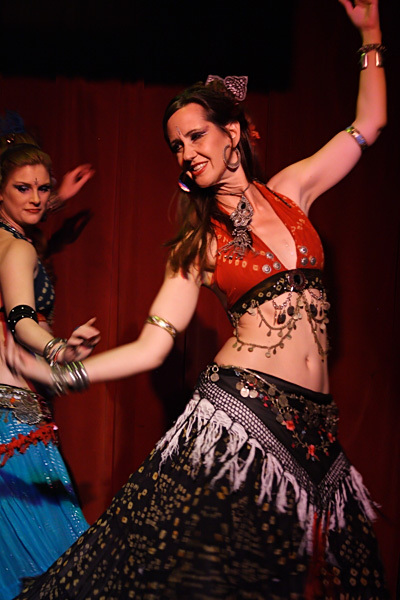 For some zesty fusion and theatrical dance, head over to Nicola's for the Atlanta Fusion Belly Dance Anniversary show. Leena and her ladies will be celebrating their second successful year! This show will feature performances by all the AFBD instructors, four student groups, and more. You know you'll be thoroughly entertained by these multi-talented dancers. Tickets are $20 in advance, $25 at the door. Click here for more info and to order tickets. 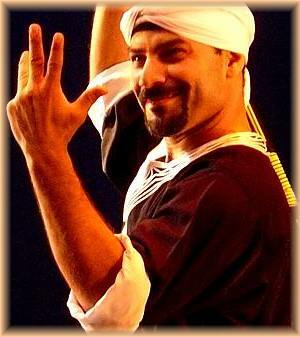 Or if you're in the mood for something more tribal... more Turkish... go and see Awalim at Cafe Istanbul! If you haven't seen Awalim in this beautiful environment (in my opinion, the prettiest setting for belly dance in town), you need to have this experience. Lie back on the pillows, eat some of that amazing bread with their delicious mezza, and let Awalim take you to another world! Reservations are strongly suggested. Click here for more info. Finally, Jechileah's Treasures presents a Night of Middle Eastern Dance at Tantra in Buckhead (next to Imperial Fez). Galina, Jechilieah, and Suzanne will be performing starting at 7:00. Reservations are recommended! I've already blogged about these workshops, of course -- and I'll be pointing my Subaru in the direction of Athens Saturday morning to do lots of zill-playing with Ziah (which I love -- I was a percussionist in high school, and I actually remember playing finger cymbals to an exotic piece by Vaclav Nelhybel) and learning about the subtleties of Middle Eastern music with Majda. I've had kind of an Athens fetish since my art school days in the 80's, so I am excited about the road trip. Brought to you by the venerable Kira, this is a new concept in haflas. 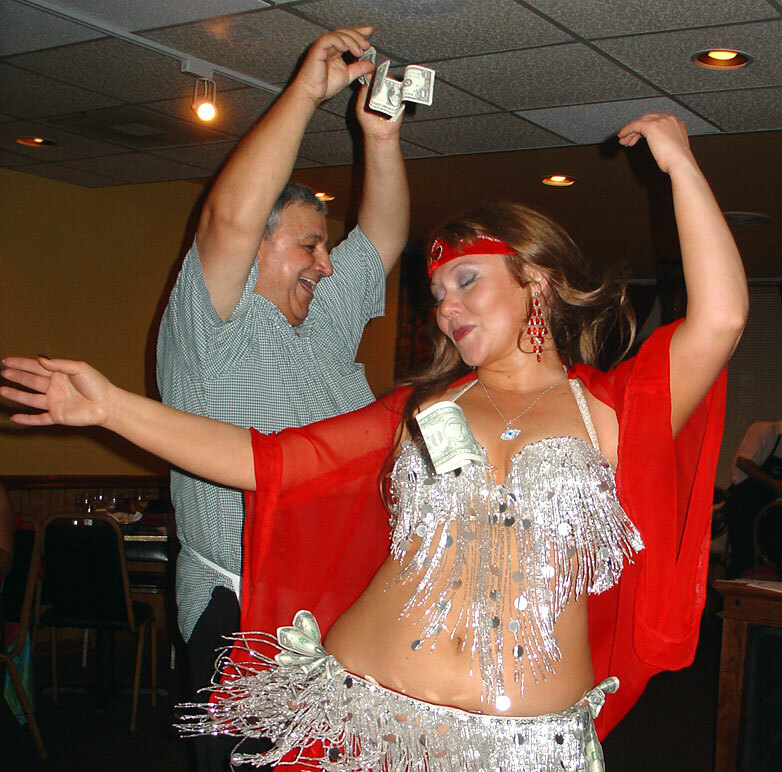 For a $5 entry fee, you can perform -- not unlike an open mic night, but for belly dancers! You'll also get a video recording of your performance, I believe. There will be drumming and dancing all night, with a drum circle starting at 10:00. Oh, and I think you're expected to wear a hat! Click here for more info. This is another new performance event that may become an ongoing series. Jahara Phoenix will bring their finesse, creativity and sass to The Beam on Glenwood Avenue, as artists, poets, musicians, and dancers present collaborative performances. Sounds like some very cool stuff could happen! Tickets are $10 -- visit the Facebook event page for more info. Every weekend night at Nicola's is a party, and a chance to see Aya perform is a real treat. If you know me, you know that Aya was my teacher for several years and I was a member of her troupe, Ayaat. She is a graceful performer and a truly warm, gracious restaurant dancer who connects with every member of the audience. I have been very flattered a few times to hear people use the word "graceful" when complimenting me on a performance, and I believe I owe much of that to Aya and her uniquely flowing style of dance. If you haven't seen Aya perform recently, this Saturday is your chance! This coming Saturday at Floorspace Studios in Athens, Ziah and Majda of Awalim Dance Company will be offering dancers and musicians a unique opportunity to really dig into the details of Middle Eastern music with two unique workshops, hosted by Sulukele and Christy Fricks Bellydance. I'll be making a road trip to experience these workshops, finally check out this studio, and make some new friends among the Athens belly dance community! ...which will be "Emoting to Middle Eastern Music through Dance: An Exploration of the Maqamat," taught by Majda. Many dancers have learned the basics of Middle Eastern rhythms and can name a beledi, masmoudi, zeffa... but this music also has an intricate system of tonal modes as well, known as Maqamat -- and each is designed to convey specific emotions. The dancer's job, of course, is to bring these emotions to life for the audience -- resulting, ideally, in a state of "Tarab," or enchantment (learn more about Tarab here). North Georgia is fortunate to have an expert in Middle Eastern music in Majda, and she will discuss the various modes and how best to intepret them through movement. Each workshop is $35, or register for both for $60. Click here to learn more or to pre-register. Oh, and here's a link to the Facebook event. Hope to see you there! 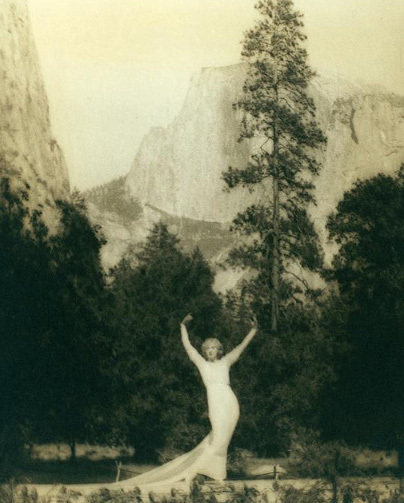 I praise the dance, for it frees people from the heaviness of matter and binds the isolated to community. 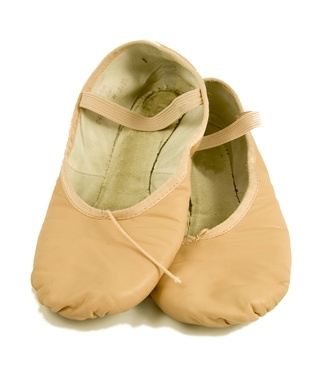 I praise the dance, which demands everything: health and a clear spirit and a buoyant soul. Dance is a transformation of space, of time, of people, who are in constant danger of becoming all brain, will, or feeling. Dancing demands a whole person, one who is firmly anchored in the center of his life, who is not obsessed by lust for people and things and the demon of isolation in his own ego. Dancing demands a freed person, one who vibrates with the equipoise of all his powers. O man, learn to dance, or else the angels in heaven will not know what to do with you. Two Chances to See Jahara Phoenix This Saturday (May 7th)! Jahara Phoenix, the fabulous tribal fusion and theatrical troupe headquarted in Lawrenceville, will be very busy this Saturday! The troupe will take the main stage at Duluth's "Barefoot in the Park" Arts Festival on the Duluth town green from 12:45 to 1:15. Then in the evening, Jahara Phoenix members Oracle and CA will be performing at Messina's Mediterannean Cuisine in Lilburn from 7:00 to 9:00 p.m. The ladies of Jahara Phoenix always put on a great show!